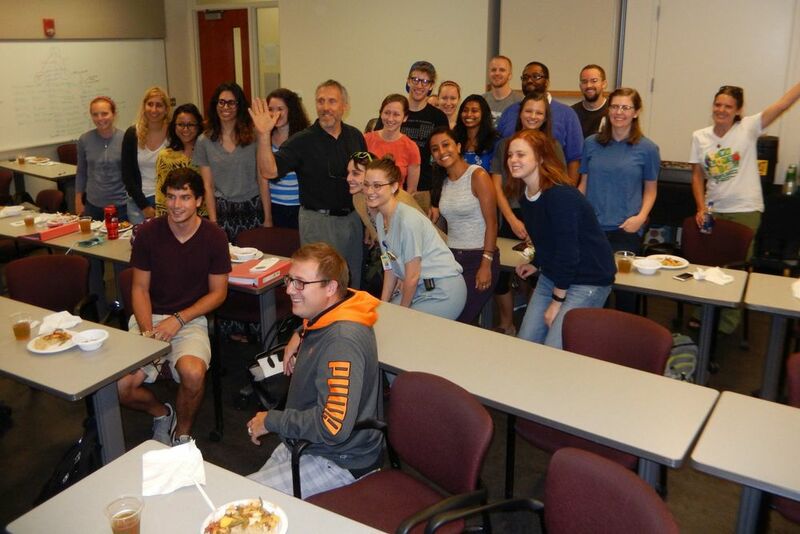 On August 13, 2015, some first and second-year medical students at Wayne State University, along with members of Plant Based Nutrition Support Group, held the first of a series of 10 “Lunch and Learns” to educate future doctors on the benefits of a plant-based diet. Thirty interested medical students heard about how nutrition plays a vital role in promoting health. PBNSG hopes that these soon-to-be doctors will ask their patients, “What do you eat?” as the first line of defense before prescribing pills and procedures. Each attendee received a plant-based meal deliciously prepared by Amber Poupore, owner of both The Clean Plate and Cacao Tree restaurants. While enjoying their lunch, PBNSG members Shannon Farrell, Jeremy Glogower, and Paul Chatlin shared their stories of success when they switched to a plant-based diet. After 45 minutes of Q&A, this amazing event of hope concluded. Thanks go out to both Amanda Martin and Brittany Vanhouten, Wayne State University Medical 2nd and 3rd year students and PBNSG members for coordinating this new beginning for the future of health care. Newer PostFirst Plant-Based Lunch and Learn Ever!